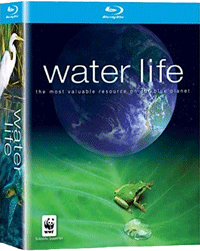 Water Life "the most valuable rescource on our blue planet" captures extraordinary locations and intimate animal behavior never before seen on film. Two years in the making and filmed in stunning HD, this groundbreaking series takes viewers on an unprecedented visual journey to aquatic ecosystems on five continents to reveal how water shapes and sculpts the landscape and provides food and refuge for an astonishing array of species. This epic series tells water's story as never before to engage viewers in vital discussions about how water must be conserved and preserved. 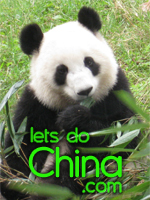 The most educational series ever filmed on planet water, viewers will learn the impact of climate change, pollution and other factors that are changing the environment and affecting each and every one of us. Disc 1: The Big Blue contains these five programs: The Big Blue, Under the Sea, The Underwater City, The Frontier of the Sea, and On the Seaside. Oceans cover 70% of the Earth's surface, but there is still much we do not know about them. Immerse yourself in this mysterious and miraculous world. From sea-beds and magnificent coral reefs to rocky cliffs and coastlines pounded by the sea, witness the ingenious ways in which a multitude of species adapt to their environments and fend off predators. 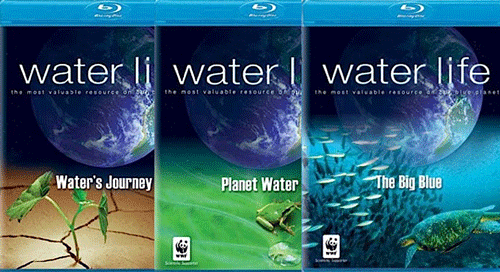 Disc 2: Planet Water contains these five programs: A World of Water, Where Water is born, Water's Pulse, Uncertain Water, and The Making of (Planet Water). The story of water is the story of life. Explore an array of aquatic ecosystems that reveal water's many surprising faces. From wild and pure mountain lakes, where rivers begin, to magnificent coral reefs constructed by millions of coral polyps, this is an epic portrait of life's rich diversity, and eye-opening testimony to the dangers that threaten our Blue Planet. Disc 3: Water's Journey includes these five programs: The Wandering Water, The Quiet Flow, Protective Water, Fleeting Water, and Jungle Water. Witness the power of the water cycle in all its phases, and its vital role in creating and perpetuating ecosystems that astound the imagination. Tropical rainforests are home to plants and animals still unknown to us. Rivers are alive with the hubbub of little colonies. In the desert, only the toughest and most adaptable creatures survive.